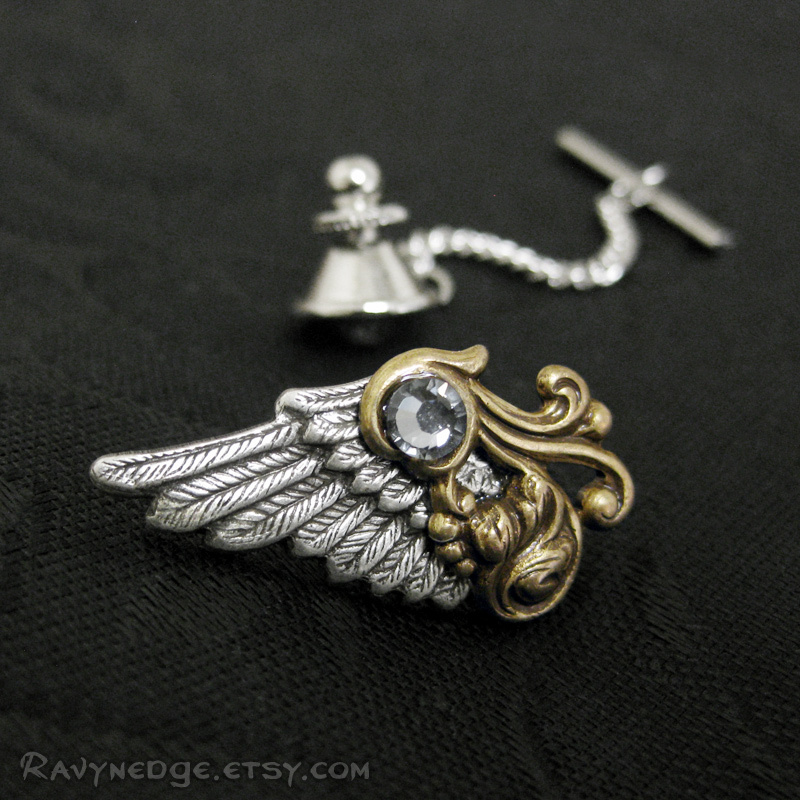 Shining Fate Tie Tack - Mixed Metal Angel Wings Tie Pin by RavynEdge. 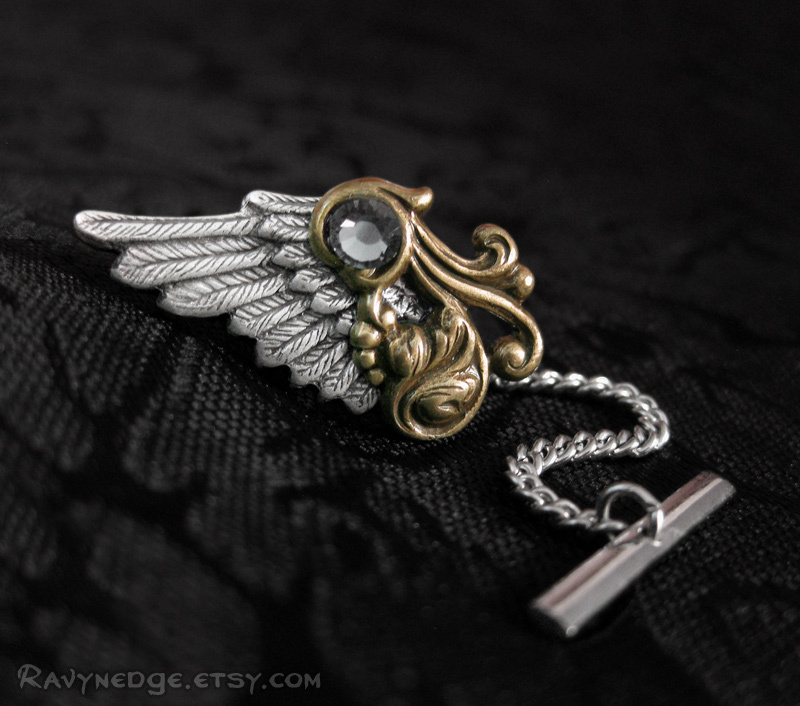 Enjoy fantastical flight with this detailed angel wing made of sterling silver plated brass and accented with a brass flourish and Swarovski crystal. 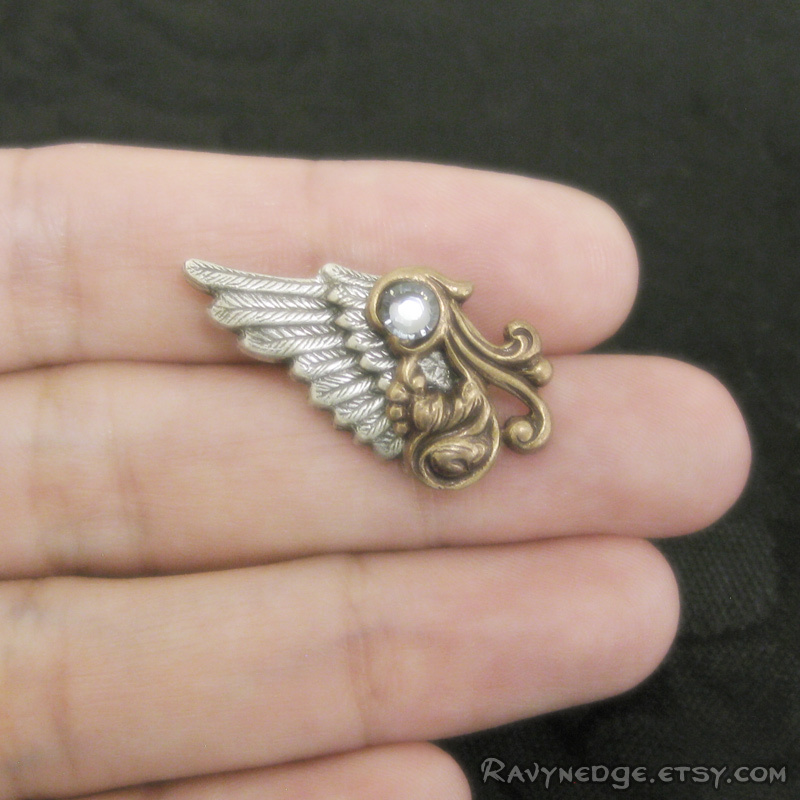 Left or right wings are available. The wing measures approximately 1.14in (29mm) long and 0.6in (15mm) wide. It fastens securely with a spring-loaded clutch. Attached to the clutch is a 42mm chain and 20mm bar. Insert the bar into a buttonhole to help keep the tie in place. I can remove the bar and chain if you prefer. 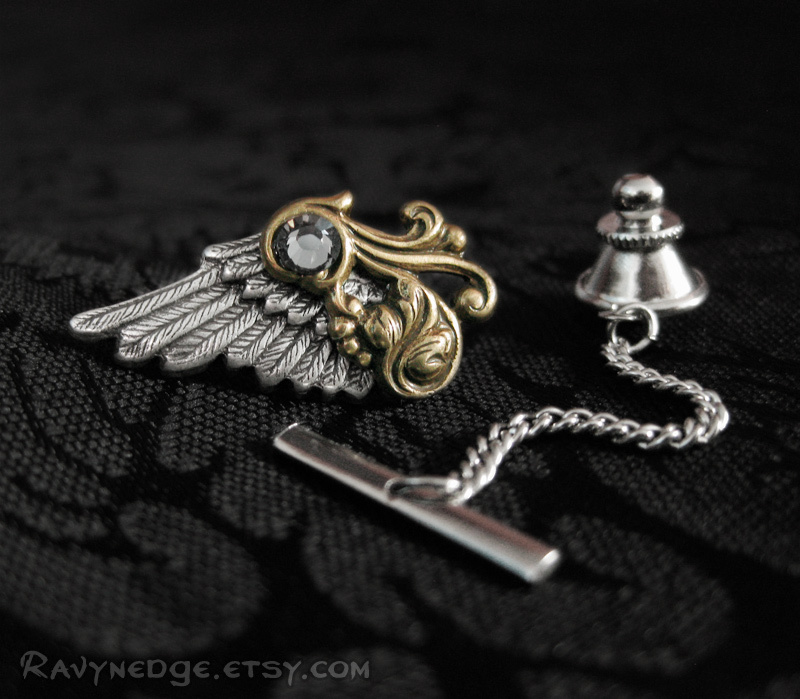 The wing and flourish are brass or sterling silver plated brass, oxidized to bring out the amazing details. 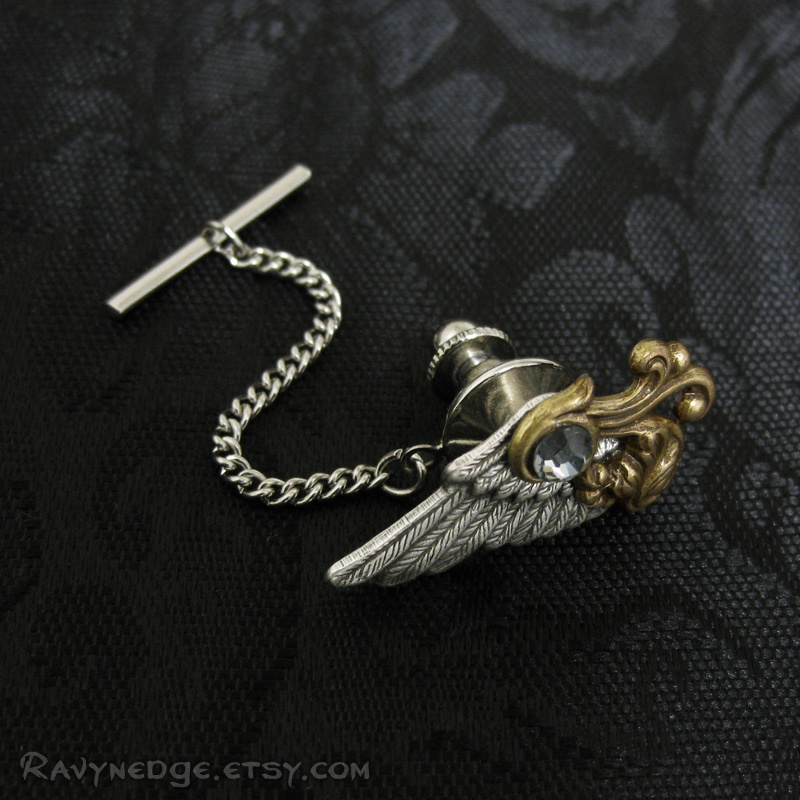 The tie tack, chain, and bar are stainless steel.